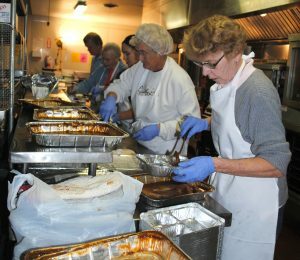 Running a Meals on Wheels Program requires focus, organization, and efficiency. Between organizing drivers, meeting meal counts and dietary requirements, managing kitchen staff and producing needed reports and records it can be difficult to keep your organization running smoothly. With that in mind, Cedar Mountain Software created MealsOnWheelsManager, a desktop application that gives organizations the ability to focus on what really matters: the people in their community they serve. Originally created for our local Meals on Wheels Program with Missoula Aging Services here in Missoula, Montana, MealsOnWheelsManager can now be found in agencies across the country. Backed by the support and knowledge of Cedar Mountain Software staff, MealsOnWheelsManager will bring your organization into the 21st century with our easy-to-use and highly customizable software. With an affordable price tag and an ever-growing list of features, there’s no better time to try MealsOnWheelsManager. Want to try it out? Request a Demo today!